Henderson, class of 1929, hopes Berry will speak at graduation exercises at the school where she teaches. 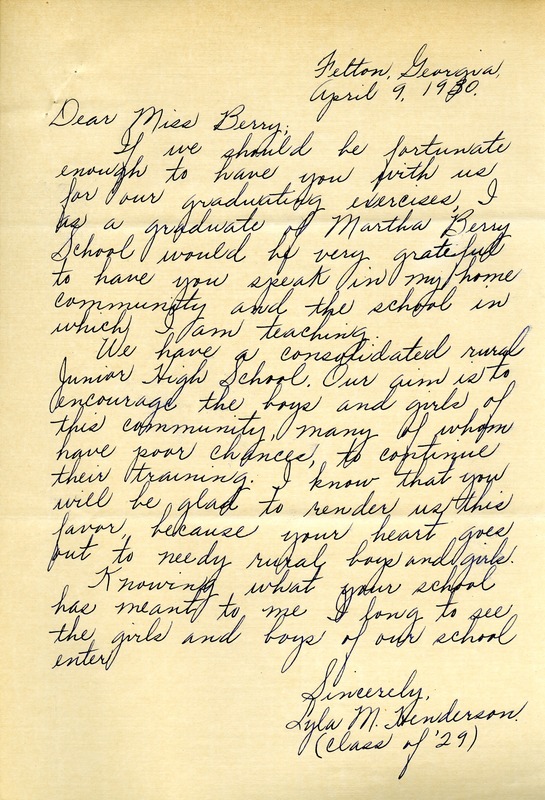 Lyla M. Henderson, “Letter to Martha Berry from Lyla M. Henderson.” Martha Berry Digital Archive. Eds. Schlitz, Stephanie A., Sherre Harrington, Meg Ratliff, et al. Mount Berry: Berry College, 2013. accessed April 24, 2019, https://mbda.berry.edu/items/show/13224.